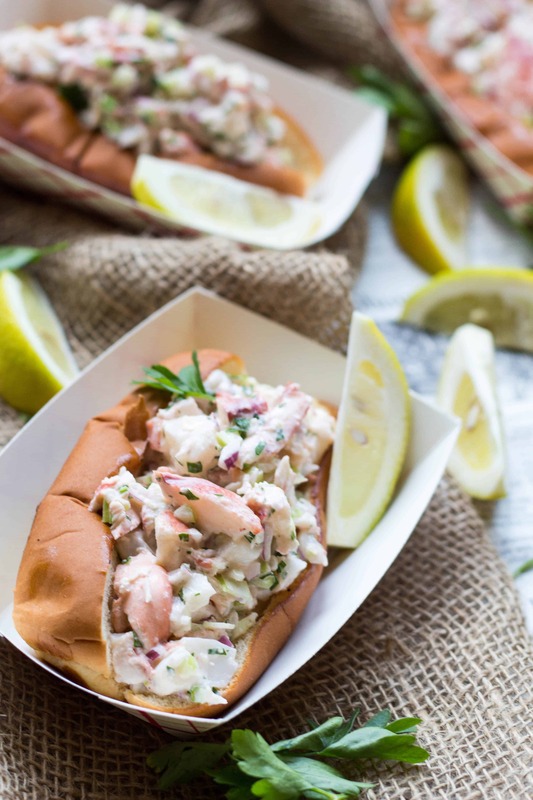 This easy recipe for lobster rolls are a tradition in my family! This is our favorite way to prepare them every summer. 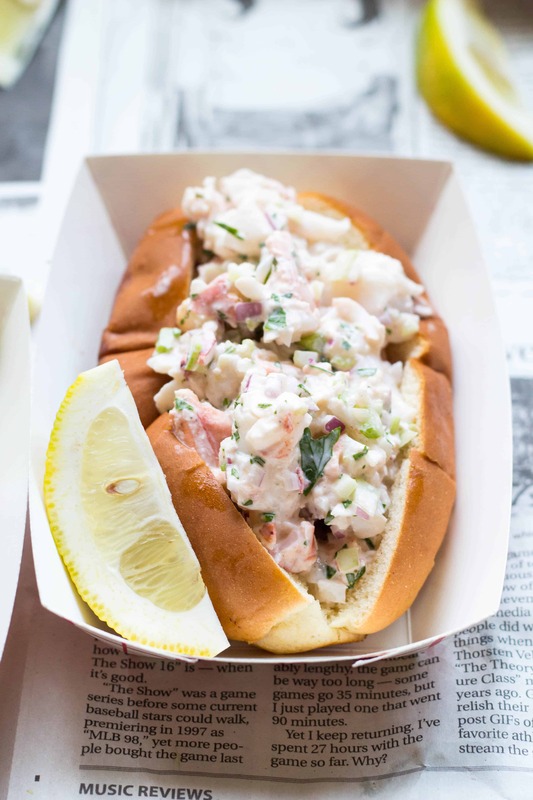 Lightly dressed big chunks of lobster stuffed inside a buttery top split bun. There’s nothing like them! Or maybe I should say, “lawbstah rolls.” That’s how my grandfather would have said it. Back in the sixties, Pop-Pop and two of his brothers purchased their own fishing vessel, “The White Dove,” and uprooted their families from Gloucester to Cape May, NJ in pursuit of a better opportunity. That’s how I came to grow up here and embody all of these glorious Jersey qualities like loud talking, swearing and ball-busting sarcasm (wait, they do that in New England too. Hmm…). Every August, my Pop-Pop and the White Dove crew would head north to fish for their most prized and lucrative catch: giant bluefin tuna. They’d be away for weeks at a time, and when they arrived back in September, we would always have a big family dinner to welcome them home. It’s common for boats to pick up various ocean critters, called bycatch, along with the fish they had set out to catch. Lucky for us, most of those critters happened to be lobsters. Beautiful, hard shelled, cold water lobsters. I would look forward to that dinner all year long. 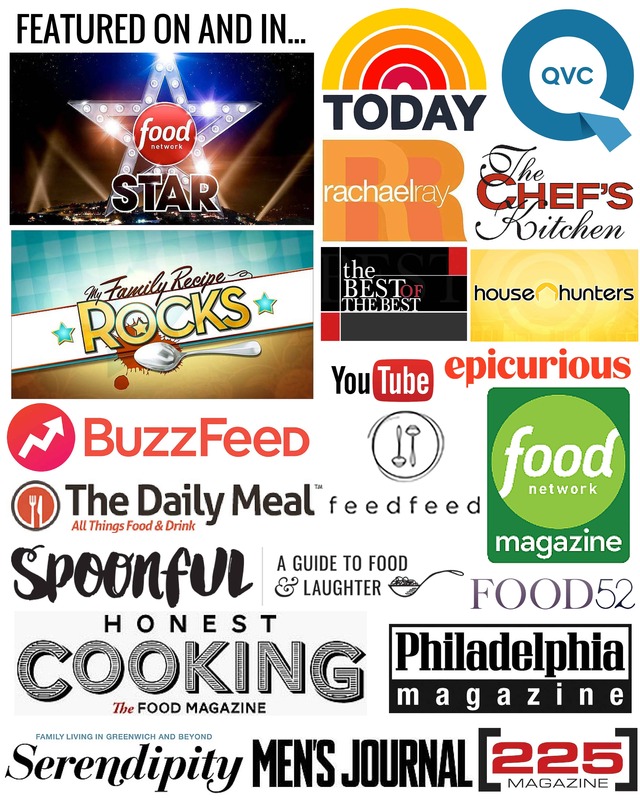 It was such a treat for a little budding food lover like myself! We would all cram into my grandparent’s screen porch and just go to town on some lobsters. As many as we could eat, along with plenty of melted butter for dipping. Grandma always had something else on the side to go along with them. Usually corn on the cob, and probably a dish of bysta sugu (because our family dinners are never complete without a couple meatballs and some red sauce). But I never touched that stuff. The lobster meat was so sweet and fresh, I’d eat it until I was sick. After we were done eating, my cousins and I would sit around a pick all of the meat from the leftover lobsters. We would take tons of it home, and my mom and I would always make lobster rolls for lunch the next day. They were the perfect reincarnation of what was already a perfect meal. I remember using a recipe that we found on Prodigy. Do you guys remember Prodigy? It was like the original internet. That’s how long ago this was. We even printed it out on the old computer paper with the tear-off side edges. You know what I’m talking about. My birthday is next week and writing that just made me feel really old. Anyway, I have no idea what happened to that actual recipe, but I do remember one ingredient that made it stand out over all the others we tried: White pepper. For such a simple ingredient, it makes quite an impact. Don’t sub black pepper, it just won’t have the same effect. White pepper is really unique, with a more piquant flavor. It adds a subtle edge without overshadowing the sweet, delicate notes of the lobster. 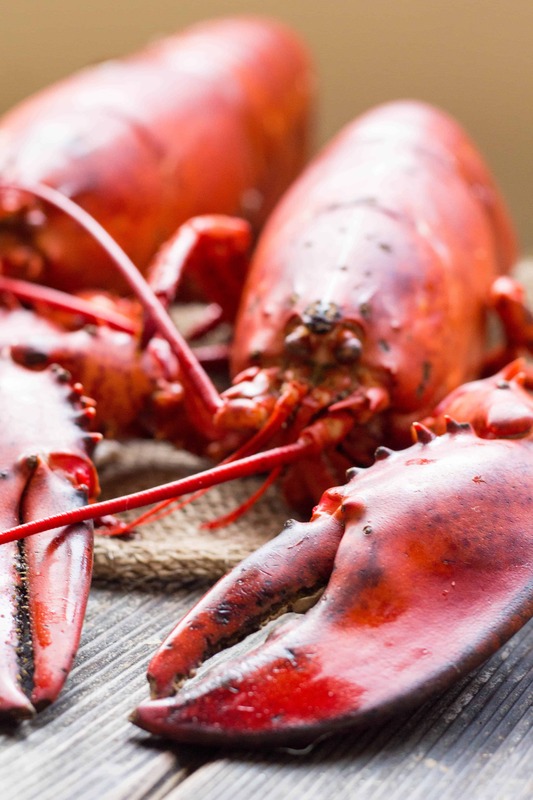 Due to rising ocean temperatures, lobsters have become increasingly abundant, making the current market price lower than its been in a long time. Score for you! There’s never been a better time to indulge in this rich crustacean. So go ahead and send summer off with a proper goodbye: A big lobster feast with family and friends, followed by a casual lunch of lobster rolls the next day. It truly doesn’t get any better. …Okay, maybe if you added something with tomatoes (like this panzanella salad. Yum!). My local lobstermen (a joint called Casino Lobsters) can sometimes sell me lobsters with one claw for a cheaper price per pound (an overall better bang for your buck). It’s always worth asking. If you don’t have a local lobsterman (because seriously, who does? ), be sure to check your local grocer for specials. I see them on sale at my local Shoprite all the time. And they’ll even steam them right there for you too, which is super convenient if you’re operating out of a mini-kitchen in the corner of your living room like I am. But if you do steam them yourself, avoid an Annie Hall moment by placing the live lobsters in the freezer for about 10 minutes prior to cooking. The intense cold causes them to become temporarily paralyzed, making for a more peaceful, um… departure. They take about 10 minutes to steam – Set a timer and be very careful not to let them overcook. When planning a lobster feast, I like to go with 2 1¼-1½ lb lobsters per person. 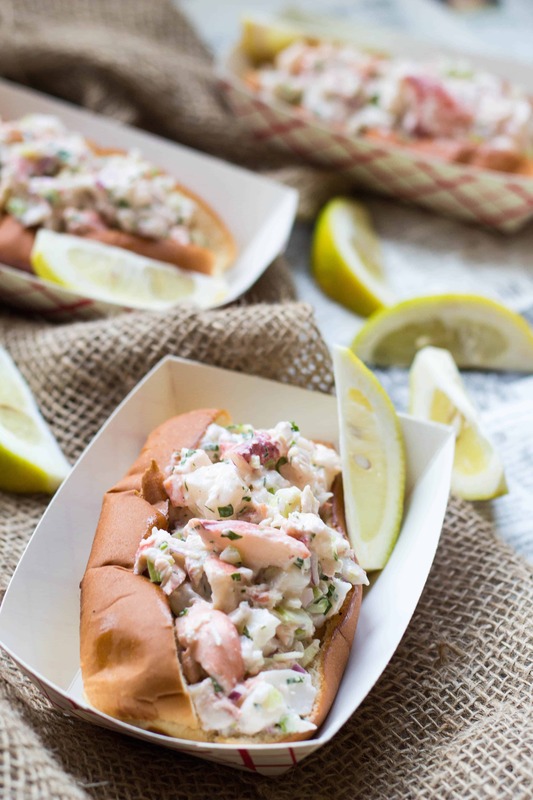 That might seem like a lot, but you’ll want plenty of leftovers to make these lobster rolls the next day. Nothing says Summer like lobster rolls. Place the onion, celery, lemon juice, mayo, white pepper, salt, hot sauce and parsley in a bowl and whisk to combine. Gently fold in the lobster meat. Wrap and chill until ready to serve. It will stay good, wrapped tightly in the fridge, for about two days tops. Toast the hot dog buns for about one minute, so they are lightly golden ad crisped, but still soft. Brush a little bit of melted butter in each bun. Mix the chilled lobster salad well. 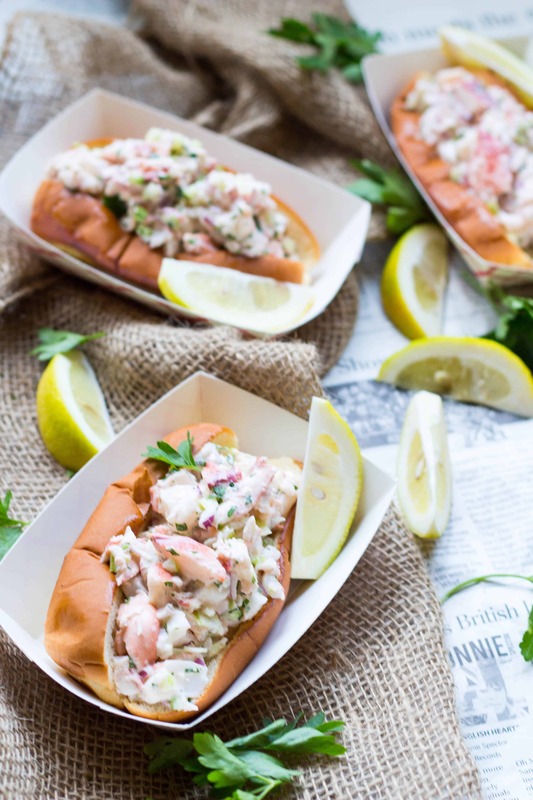 Top each buttered bun with a generous amount of lobster and serve immediately. It appears Coley, that we both share September birthdays with your mother as she was just a few weeks older than me, both of us being born in September 1958!! My mom used to tell me, “Aunt Rosalie came home from the hospital just as I (she) was going in”!! Aww happy birthday to you too! Its great to be a Virgo! Love this post! I make my lobstah salad in a similar fashion, comes out great every time! Gloucester is the oldest seaport in the US, also made famous by the book and movie “Captains Courageous”. There is hundreds of years of fishing history in this town and I hope you visit soon to cook up some coastal cuisine goodness! Sorry I’m just getting around to commenting now! Glad you liked this one. I need to come visit soon!! So glad you became a part of the fam and I got to know you over the years! Interesting recipe – definitely different from what we would consider here in Maine. Not to say wrong, but…different. You guys are all about the butter in Maine. Which I have no problem with. But these are sooosoooo goo. Did you give it a try?? Wow! That was a beautiful homage to your people and their food! Love this post, you and some of your relatives back home in Gloucester, MA! You go girl! Thank you so much for reading and commenting! I owe Gloucester a trip! I just got back from my hometown. 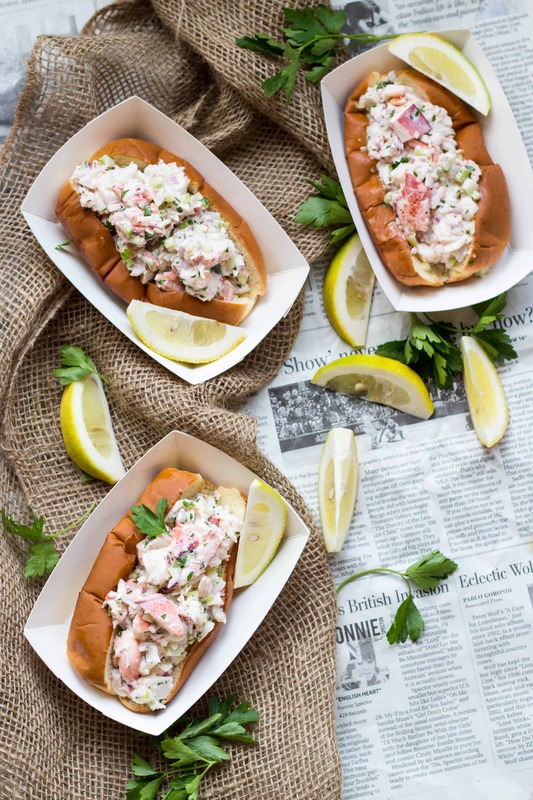 Portland, Maine knows a thing or two about lobster rolls so I am a fan of this post. Now go visit Portland and do a special series of posts about it!